Setup in less than 5 minutes. 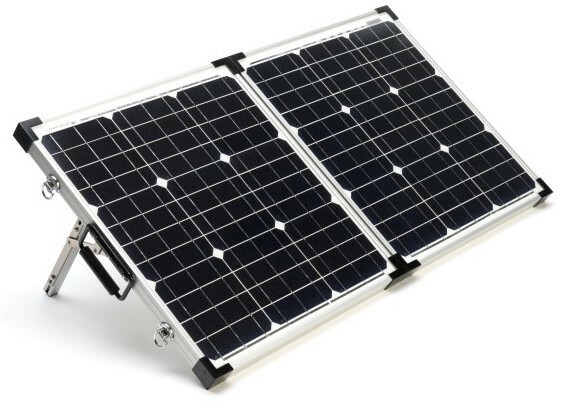 Our Portable Solar Charging System can be used as a single power source for maintaining and charging a battery. Our portable solar systems can also be used as an add-on power source to your currently solar system. Use one or more of these to add more power. 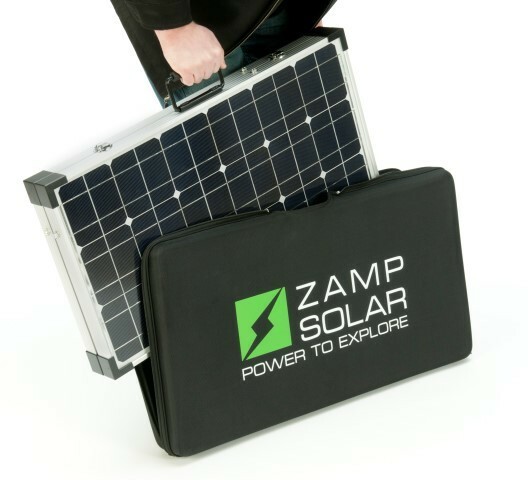 The Zamp Solar 80 Watt Portable Solar Charging System features 10 Amp solar charge controller mounted on our EZ-View swinging bracket. 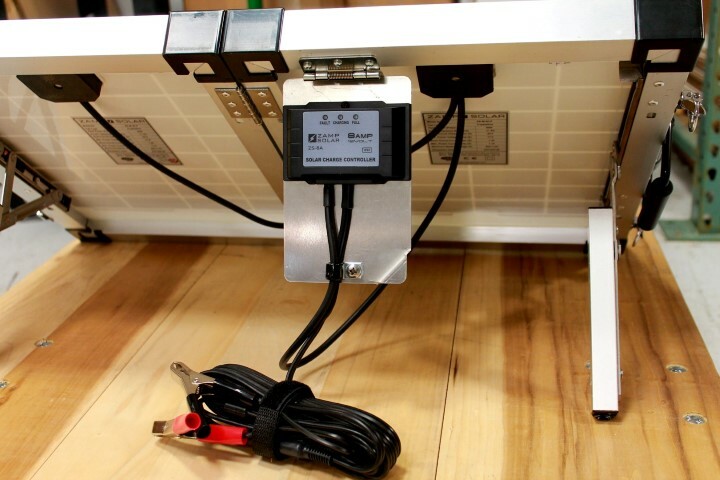 The EZ-View Bracket allows the user to stand while viewing the digital deluxe solar charge controller. 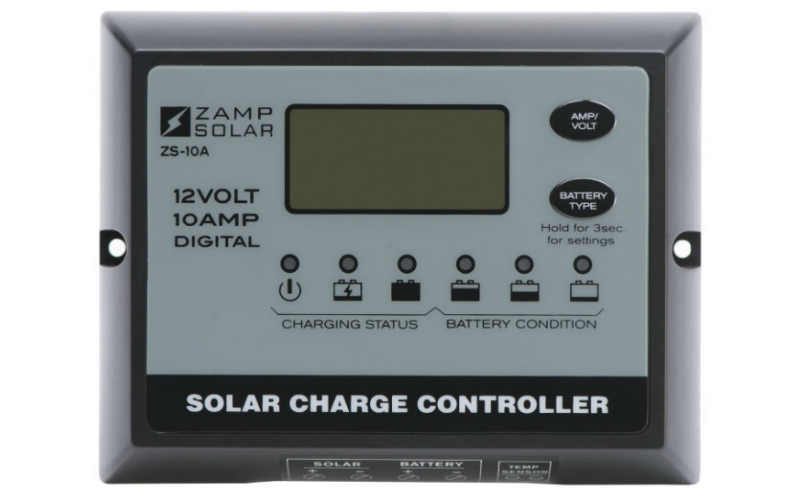 The Zamp Solar Digital Deluxe 10 Amp Solar Charge Controller is a 5 stage, weatherproof, PWM solar charge controller. A large digital display shows the user battery voltage, an instant view of amps from the solar panel and how many amps charged the battery over the period of time it was connected. 3 indicator lights show – Faults (any errors) | Charging (solar is charging the battery) | Full (battery is full and solar is maintaining). This 80 watt Portable Solar Charging kit provides 4.6 amps of charging power per hour under optimal sun conditions. Estimated daily amperage ~ 36 amps (summer), or ~18 amps (winter). Average RV’er who do extended weekend dry camping use roughly 30 to 40 amps a day. Great for small travel trailers, truck campers, camper vans and single battery and some dual battery systems.